A few weeks back I was overwhelmed to hear of an oil spill to hear the shore of my Filipino "hometown" in San Juan, La Union in the Philippines. 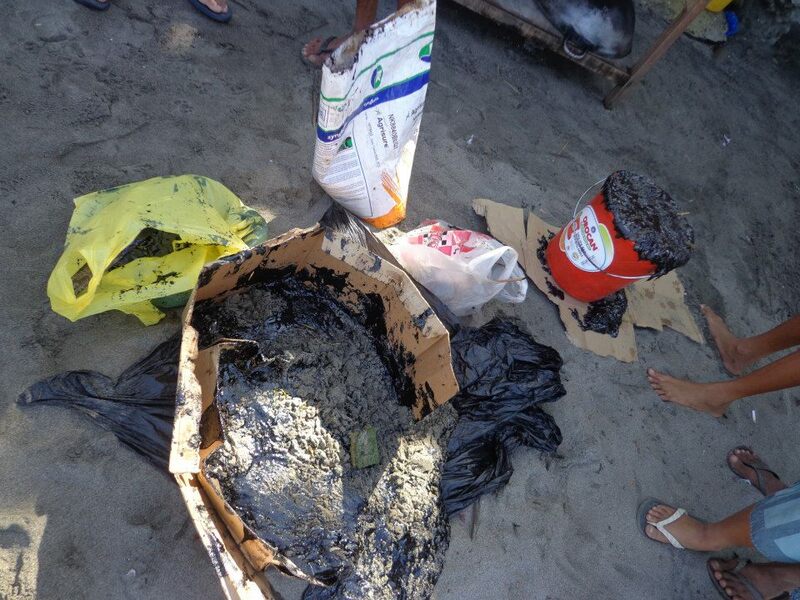 It was devastating to hear stories and see pictures of the oil washing ashore, of friends paddling out through tar balls. 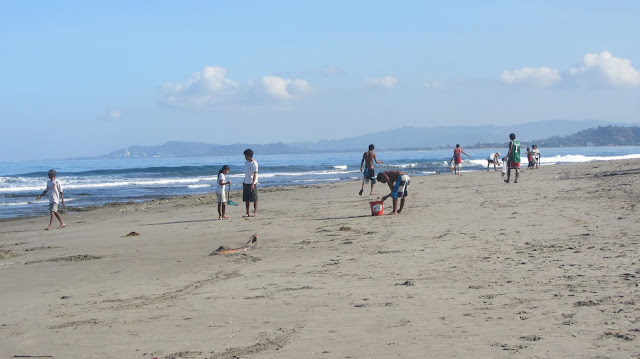 This is a small section of beach in Luzon that like many other small communities across South East Asia provides a livelihood (surfing and fishing) to a large number of locals. According to resident marine biologist, Laura Riavitz, the spill presents a hazard to marine and terrestrial animals as they may eat them. Also as this material sticks to the reefs, marine animals are at risk. Furthermore, as we are into the sea turtle nesting season, this sticky substance on the beach looks like jellyfish and may be ingested by our reptile friends. 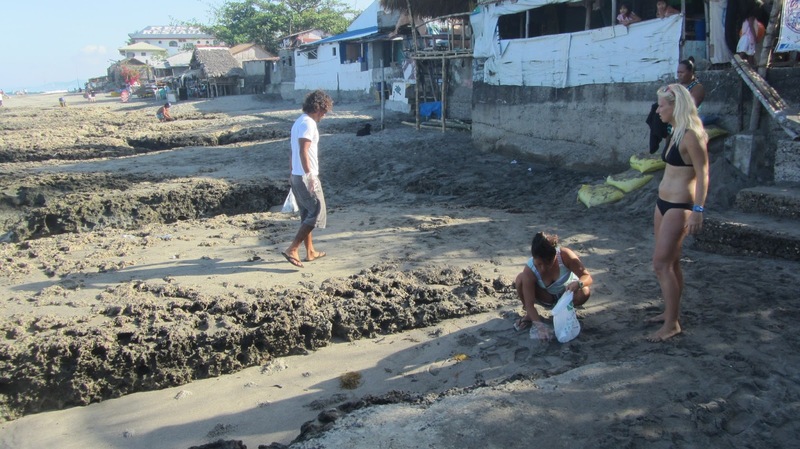 Our main course of action is to hold a massive beach clean up (for the entire week if possible) from the coastline of bangar all the way down to san fernando. we need hands. The upside of this story however is how this "disaster" really highlighted the local community's strengths. Rather than point fingers and blame others for their situation. The community came together to do what they could to fix the problem. Menchie just smiled and said it was all due to the cooperation of the local surfing community. Mabuhay ka La Union local surfers!!! It doesn't take money to clean up a beach. It takes heart. 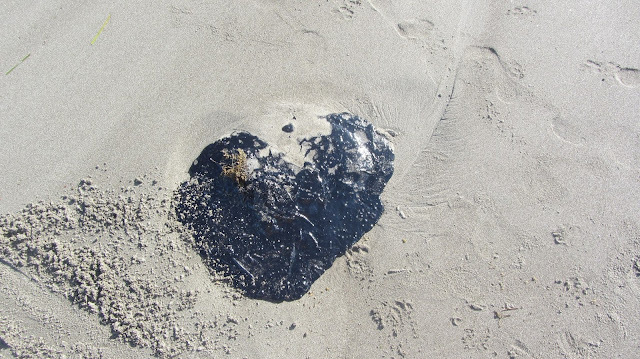 The clean up efforts continued for a week as the waves continued to wash new tar balls onto the shore with each new swell. Recent reports are showing no new signs of oil or tar now. And I couldn't be prouder of my friends and the community in San Juan. A huge congratulations to the La Union Surf Club for coordinating the clean up effort and everyone that lent their time and energy to the clean up. For more information on the spill you can read here. Photos are courtesy of Clara Blakelock and Mickey Galang.